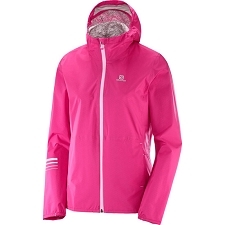 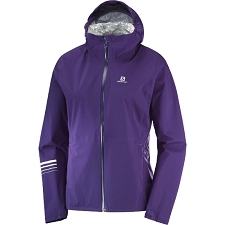 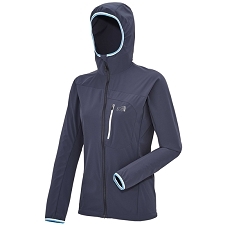 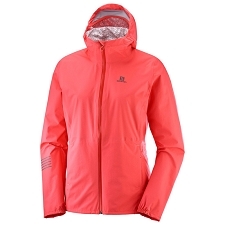 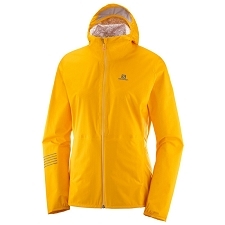 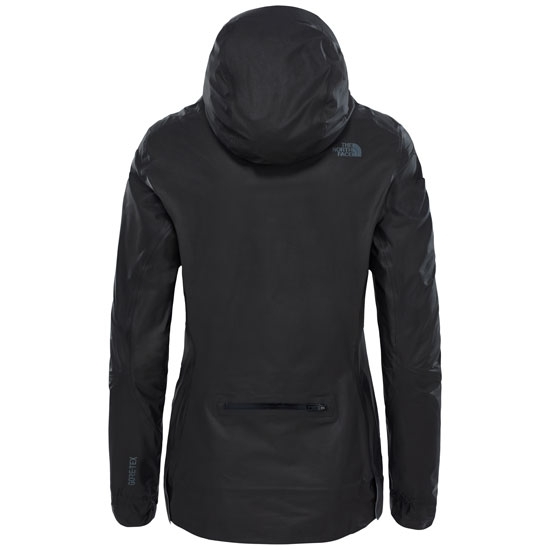 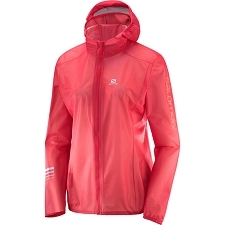 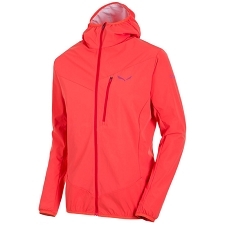 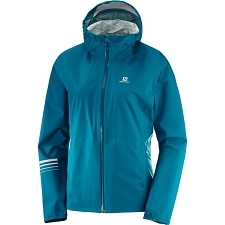 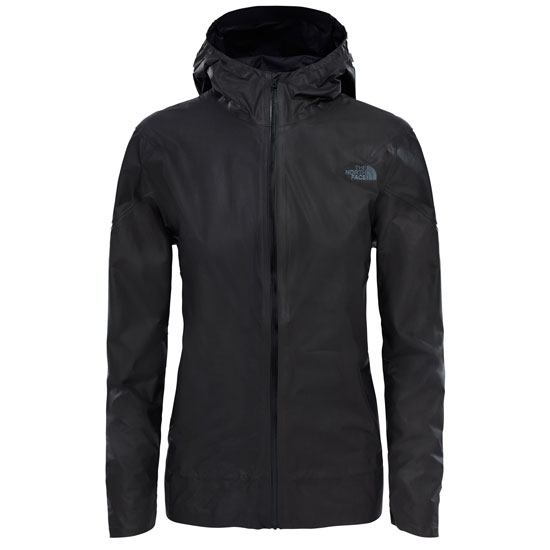 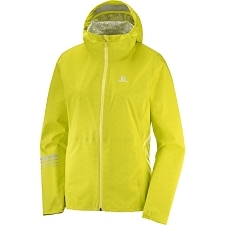 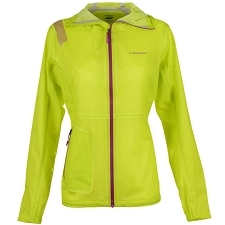 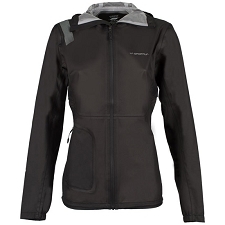 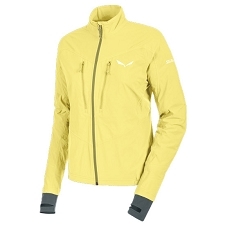 Women&apos;s ultralight, waterproof jacket by The North Face. 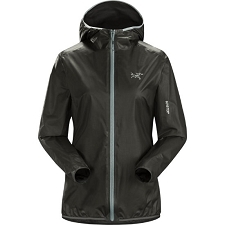 Using the latest technology to protect against wind and rain while offering exeptional breathability, the Hyperair GTX Trail is perfect for trail running, training and competition. 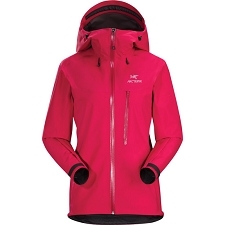 The Hyperair Gtx Trail uses Gore−Tex® Active with SHAKEDRY™ technology, which eliminates the outer layer of fabric, which means the membrane becomes the outer layer. 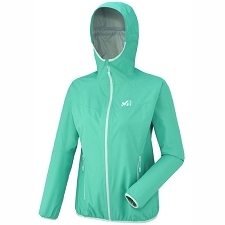 Eliminating the face fabric, prevents absorption of water in order to maintain comfort during high aerobic activities. 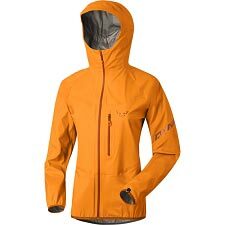 Wearers will no longer experience the chilling effect that can result from a wet outer face fabric, and the garment dries out fast. 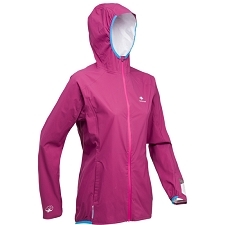 The balance of protection and comfort allows the wearer to leave the garment on, come rain or shine. 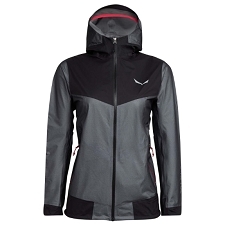 Featuring a fixed, adjustable hood and back pocket for your essentials. 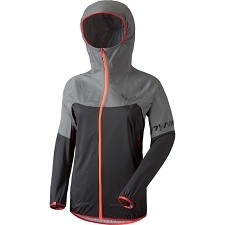 Articulated sleeves are ergonomical for running and reflective elements provide night time visibility. 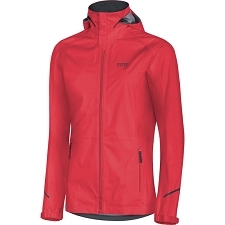 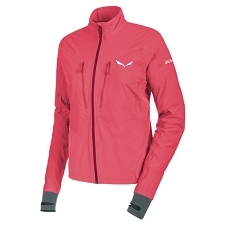 This exceptionally lightweight and breathable jacket takes up minimal volume in your pack and keeps you dry and comfortable, throughout activity. 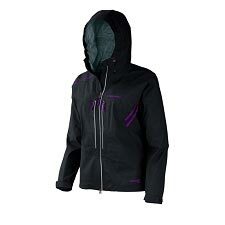 Note: This type of jacket is not recommended to be used while wearing a backpack because the abrasion from the shoulder straps could damage the fabric. 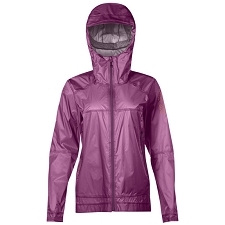 The membrane lacks outer protection fabric and this makes it more delicate, affecting its durability and effectiveness. 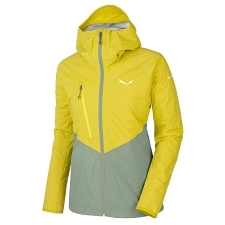 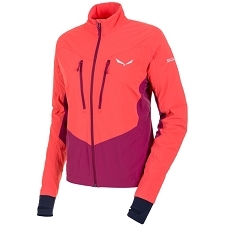 Customer Opinions "Hyperair GTX Trail Jacket W"